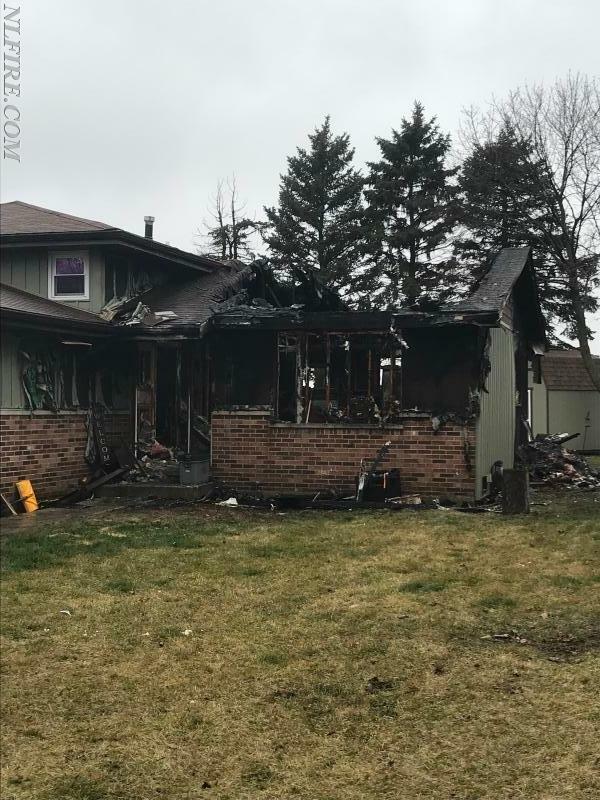 This morning at approximately 9:30 a.m. the New Lenox Fire Protection District received a call for a structure fire in the 2200 block of Sanford Avenue. Upon arrival, there was heavy fire showing from the front of the trilevel home. Two patients were treated at the scene for burns and smoke inhalation and transported to a local hospital. The home sustained extreme damage. The cause of the fire is currently under investigation. Several area fire districts assisted with the fire and with additional emergency calls including: Frankfort, Mokena, East Joliet, Manhattan, Homer, Northwest Homer, Orland, Lockport, and Elwood.